Chennai: The Alumni Directorate, Great Lakes Institute of Management organized its Annual Alumni Meet on its campus recently. The two-day event saw several alumni across batches and programs gathering to renew friendships and relive their college years that consisted of power talk, game sessions, interactions, and entertainment. He was also proud that Alumni movement of the Institute was gathering momentum, was vibrant and humane as evidenced by raising funds for medical emergencies of Alumni families on three different occasions in the last 3 months that resulted in several lakhs being collected within a single day each time. The inauguration kick-started with a special presentation by office bearers of GL Alumni Chapters across cities, who shared important achievements since the last Alumni Meet. Through its diverse presence, Alumni Chapter heads from different cities instilled a sense of the need for change and decided to demonstrate important values that will benefit society and the alma mater this year. One of the key highlights of the ceremony was the Award distribution by Alumni Directorate of Great Lakes for playing a major role in contributing towards the institute. Mr. Abhay Bohra (PGPM – 2012), Mr. Karthik Kannan (PGPM 2008), Mr. Bharath Repaka (PGPM 2015), Mr. Malhar Lakdawala (PGDM 2015), Mr. Bharath Kumar & Mrs. Sangeetha Bharath (PGPM 2010), Mr. Siddharth Mehta (PGDM 2015) & Mr. Malhar Lakdawala (PGDM 2015) were awarded with ‘Awesome Active Alumni Award’. The ceremony was followed by a special interactive session between Alumni and present students who conversed on the academic curriculum – then vs now, exposure to businesses and industries. Most of the students raised queries related to jobs, changing career paths, how to fine-tune their career goals, and run a successful start-up. When asked about changing industry/ functional area, the alumni community advised the students that while studying in a B-school is the best time to change the industry or area. On being asked about working for a long term in a company or moving to a different position based on pay, alumni community strongly recommended the students to shift their focus to the long term as it helps an individual to progress much better, both skill wise and financially. To warm and cheer-up the alumni, a special stand – up comedy was performed by a leading artist and popular RJ – Mr. Shyam Renganathan. This led to evening entertainment and gala dinner at Ideal Beach Resort, few kms away from Great Lakes Campus that included an exclusive performance by a playback singer – Mr. Shenbagaraj and featured extraordinary drum show by present Student Akshara. Students from Great Lakes also enthralled the audience with their fusion music in different languages, and a DJ night concurrent with dinner. The alumni meet also consisted of fun games and matches such as Cricket, Tennis, Tug of War, Treasure Hunt between Alumni community and present students in which most of the gifts were bagged by Alumni. 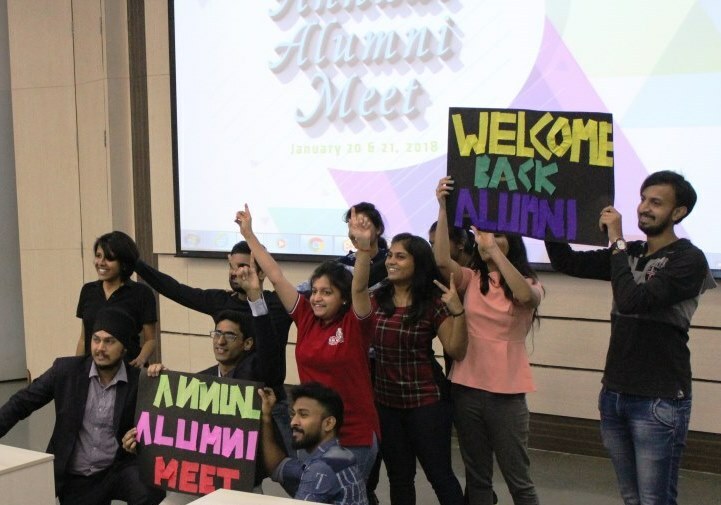 Overall the Annual reunion promised to be an amazing time of fun, food, friends, and nostalgia and provided a platform to network and engage with alumni as well as faculty and students.